As the world of organic landscaping and gardening grows, people are ditching the chemical fertilizers and turning to compost tea to keep their plants healthy. 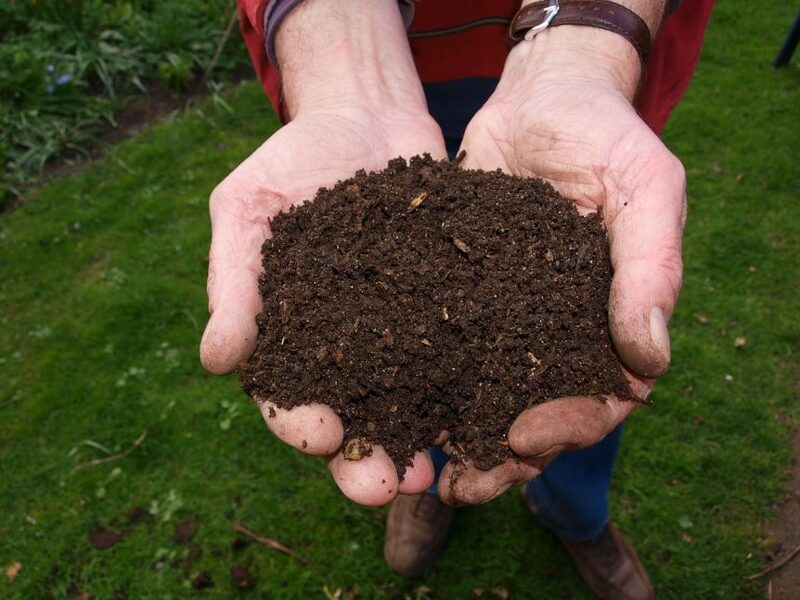 Most everyone has heard of compost and how it benefits soil and plants. However, by taking that compost and turning it into compost tea, you can increase the effectiveness of the microbes in compost that are beneficial to your garden and plants. Compost tea is compost steeped in dechlorinated water and then aerated to stimulate microbial growth. After 3-4 days of steeping, the brew will be full of beneficial organisms that can be applied to the soil or directly to the plants. This method of delivering nutrients to plants works quickly and efficiently. It can even be applied to plants during a critical time, such as heat stress or signs of disease, to help with the healing process and to strengthen the plants. However, there are things that need to be taken into consideration when making your own brew. Making your own compost tea isn’t difficult, but there are certain steps that need to be taken to ensure a healthy, high quality tea. 1) First, make sure that the compost you are using is good, healthy compost full of microorganisms. Add the compost to a 5 gallon bucket or 55 gallon drum, depending on how much tea you want to make, and then mix in dechlorinated water at a ratio of 1:10, compost to water. 3) After your compost tea has been percolating for 3-4 days, it is ready to be strained through a burlap sack, old pillow case, or kitchen strainer. 4) After straining, it should be immediately applied to the plants. If you leave your tea out for too long it will become anaerobic and smell bad. Teas can also be stored in an airtight container then refrigerated for up to 2 weeks before use. Compost tea can be applied every two weeks to your plants once they have been established. Use a simple watering can or sprayer and soak the the root base and foliage of each plant. This allows the plants to absorb the nutrients through the roots and leaves, doubling the effect. As with watering, be sure to apply the tea in the early morning or evening so the sun does not burn off the tea or damage the plant. Compost tea is a wonderful organic replacement for chemical garden fertilizers. Using the tea on your plants makes them grow faster, look healthier, and be more resistant to drought and disease. Compost tea can also be used as a quick remedy for a sick looking plant. There are tons of different recipes and methods of making compost teas. These potent brews can even be tailored, using specific kinds of compost, to benefit certain plants that thrive on different levels of minerals and nutrients. Applying compost tea is an integral part of our landscape maintenance program. We apply on a fixed schedule or as needed to keep the gardens we maintain looking healthy and vibrant. If you would like more info about compost tea or about our sustainable landscape maintenance services, feel free to contact us.